Ask fellow campers about "Morning Mist Resort" and nearby attractions. The camp operators have done an outstanding job with this campground. one of them met us at the gate and immediately got us settled into our campground with excellent back-in instructions. The sites are level and spacious. There are trees and shrubs between sites for privacy. The comfort station has individual bathrooms, each with its own shower. Laundry facilities are in the same building. We loved the layout of the campground with a very large common area that leads down to and includes the beach on the Ottawa River. Other operators would have packed in as many campsites as possible close to the water, but the camp operators chose to keep it more park-like and maximized the common area. The end result is a lovely resort. We thought that if we ever become seasonal rentals, this place would top the list. There are motor boats available to rent, and were allowed to use the canoes and kayaks for no charge. We had planned to stay just one night, but extended our stay because we found it so lovely here and hope to return. We camped at Morning Mist Resort in a Travel Trailer. Love this place! We have stayed here many times over the last 4 years and each time it just gets better!!! The owners are fabulous!!!! If there is anything you need they'll do their bestest to help you out or point you in the right direction. There is so much for the kids to do, and their Beach is beautiful and clean with lots of muskoa chairs for relaxing. Tons of walking trails. I could go on and on do yourself and family a favour visit Morning Mist! We camped at Morning Mist Resort in a Travel Trailer. Stayed here a couple of nights as we traveled across Canada. Very nice grass spaces with hedges between each site. A number of friendly seasonal guests in well kept units. Lots to do, with a beautiful lakefront setting, Fishing Boating, Paddle Boats. We stayed here about ten years ago and the owners have made many improvements over the years. We would stay here again. We camped at Morning Mist Resort in a Motorhome. Friendly & quiet. Owner very helpful as we came in late. Lovely bathrooms, laundry rooms. Recycling-a plus for us. A very short walk to the beautiful lake. We camped at Morning Mist Resort in a Motorhome. 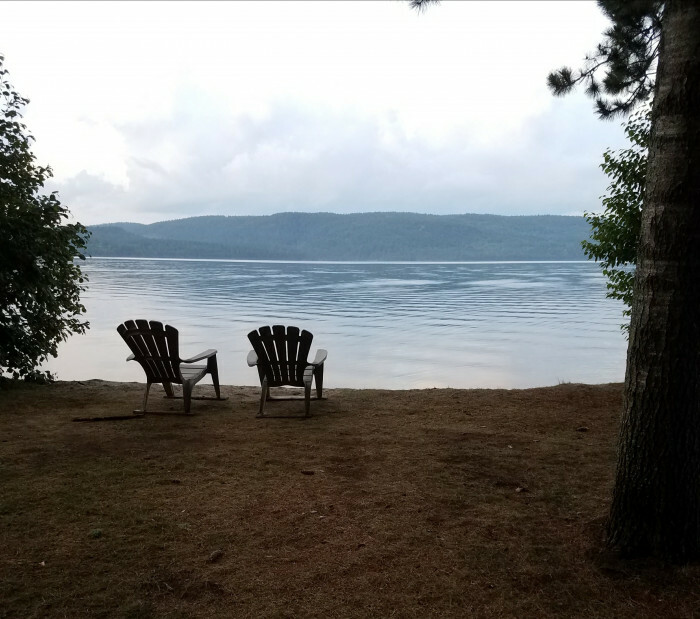 This is a very friendly, efficiently run campground with excellent washroom facilities, activities for kids, and a nice beach on the Ottawa River. Wi-Fi is available with some restrictions. There are many seasonal campers. Sites are level, spacious, and easy to access. We camped at Morning Mist Resort in a Travel Trailer. Spacious wooded sandy sites with trees and shrubs in between for privacy. Very friendly and helpful campground owners. Six unisex bathrooms each with toilet, sink and shower: great idea! Sandy shallow beach area along the Ottawa River overlooking the Quebec forest. Lots of Muskoka chairs at the beach to sit on and relax. Numerous trails throughout the campground forest. Many seasonal sites but all well kept newer units. About 40 minutes from Petawawa. Would definitely return if in the area again. We camped at Morning Mist Resort in a Travel Trailer. The people are really friendly and will help you to your site and assist you when backing in your RV if needed. They helped me and it was an easy task backing the RV into the wide site. They have boats and motors for rent, a nice beach and play area for the children. The sites are basically grass and the site we had was level. The internal gravel roads are dusty. The water pressure is on the low side. The internet connections leaves a lot to desired. Very difficult to get signed on and very limited use. Max download is 100Mb. Large rigs shouldn't have a problem getting around in this campground. There appear to be many sites with permanent RVs on them. Most of them are clean and well maintained. We would stay here again if in the area. We camped at Morning Mist Resort in a Fifth Wheel. 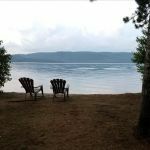 Schedule only allowed one night stay at this quiet setting beside the Ottawa River with a nice beach and boat launch. Many seasonal units that are well maintained. Owner has several trailers as rental units along with some cottages. Our easy in and out site was a perfect level and all services worked great. Will definitely return again when in area but for a longer stay in this rural jewel. Do not often give this rating but it deserves it. We camped at Morning Mist Resort in a Fifth Wheel. How would you like to stay at an RV park where you had your own private bathroom including shower? Well then this is your park! There are six private bathrooms, each with it's own shower. Well heated, clean and just like you'd want at home. This park is very well run, looks new and everything works well. On the banks of the Ottawa River in a beautiful setting. The owners are just great giving us a tour so we could pick our own spot. Little beach by the river with chairs to relax in, each site is in a little private alcove. Level with nice utilities. I'd stay here again in a heartbeat! We camped at Morning Mist Resort in a Motorhome. Beautiful park! Even at this time of the year. Owners are super friendly and so are their pets. Nice big sites. Quick stroll down to the beach. I can imagine this place would be stunning in the summer. Washrooms/amenities are clean and tidy. We just stayed the 1 night, but would definitely stay again. They're open year round. We camped at Morning Mist Resort in a Motorhome. We stayed here one night on our way to Quebec City. First off we were greeted outside by one of the owners, who turned out to be the most accommodating friendly guy! We were also travelling with a 27' U-Haul with car/car dolly that needed parking. He helped us back it up and find a safe, free spot to keep it in (right next to us in a site so we could keep an eye on it). The beach area and paths were spotless, yet everything looked so natural. There were canoes and paddlewheel boats available for use, as well, lots of lawn chairs and firepits for communal enjoyment. There was a large 'play' area with volleyball, horseshoe pits, basketball, tetherball and swings. There was also a myriad of hiking trails: all well marked on the 80 acre property. Our dogs had a ball! The sites were large, with lots of grassy areas between. The showers were brand new, and each one individually housed! The laundry facility was brand new: an honour system for paying (nice to be trusted). We thoroughly enjoyed this lovely campground on the Ottawa river. We camped at Morning Mist Resort in a Motorhome. We spent one night at this campground but wished we had the time to spend more. The owner was very friendly and helpful in getting us to our campsite before checking us in, and the grounds were nicely maintained with level, mowed grass covering each campsite. They had lots of lawn chairs and picnic tables in their lake front common area, and whimsical art pieces adorning the trees along the path that leads down to the lake. We camped at Morning Mist Resort in a Motorhome. Very friendly campground with a nice beach on the Ottawa River. Owners are super people - always very accommodating. Some seasonal sites - but very tidy and well-kept as another reviewer noted. Bathrooms are large and very private as each stall has its own toilet, sink and shower. The hot water is unlimited as the owners have an instant hot water heater incorporated into the design of the campground. Grassy sites with sandy areas. Wi-Fi internet throughout the campground. Several trailers for rent as well as nicely equipped cottages with satellite TV. We'll definitely be returning. We camped at Morning Mist Resort in a Travel Trailer. This is a very neat and tidy campground. Beautiful lake front with a beach, boat dock, and water type activities. Super nice owners who couldn't be more accommodating. Mostly seasonals but all are very neat and well kept. A few full hook-up, pull-through sites for those stopping for a night or two. Grass sites with a sandy base so mud puddles are not an issue. We were here in the off season and I suspect it is pretty busy during the summer so make reservations in advance. We will definitely stay here again. We camped at Morning Mist Resort in a Motorhome. Are you affiliated with Morning Mist Resort ?